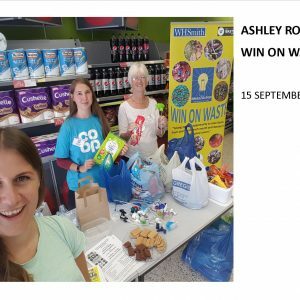 Ashley Road Win on Waste held at the Co-op in Ashley Road, Parkstone received 33 carrier bags of waste from 48 households, schools and companies on Saturday 13 April. 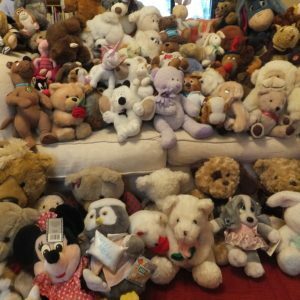 These will be helping 9 good causes. 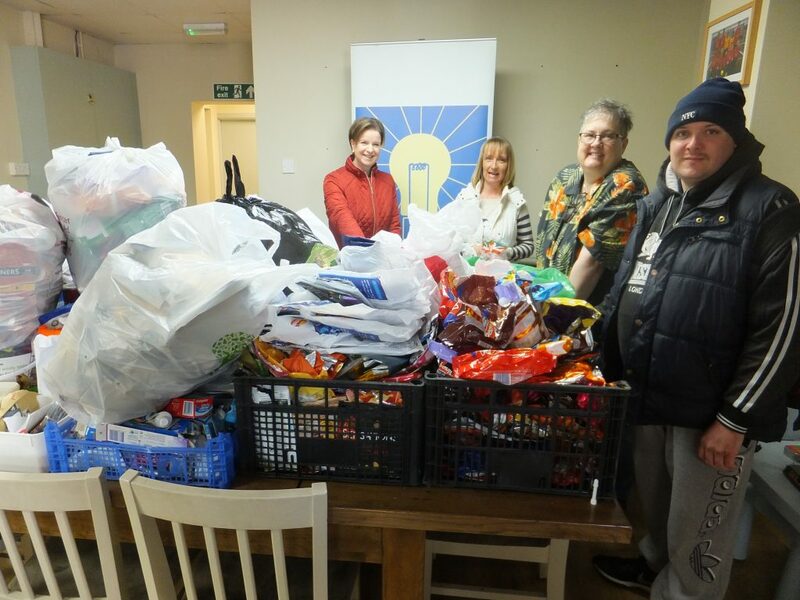 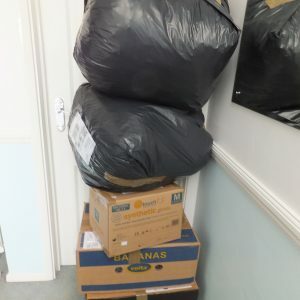 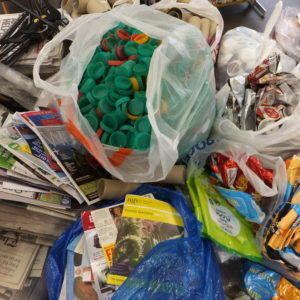 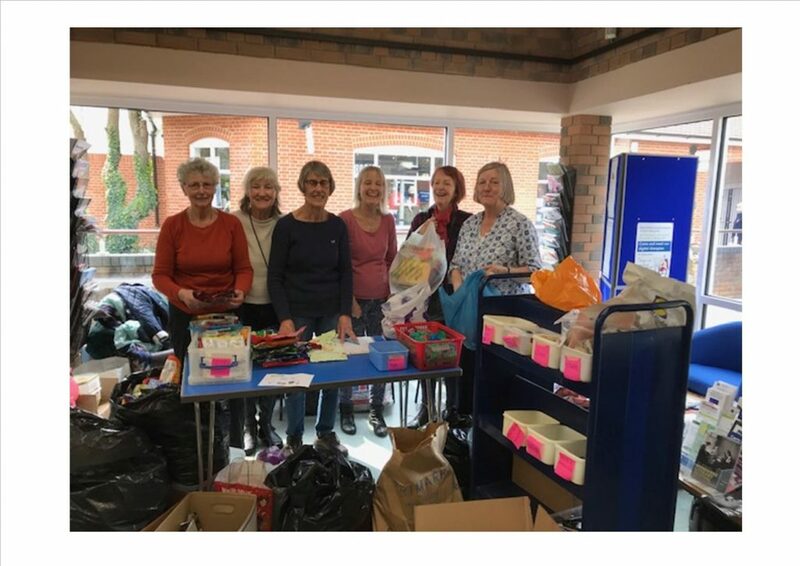 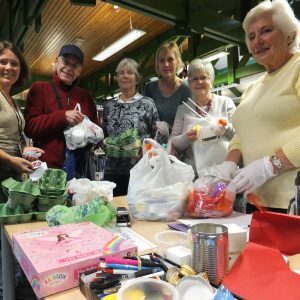 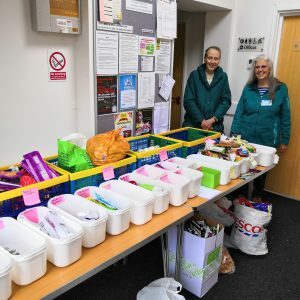 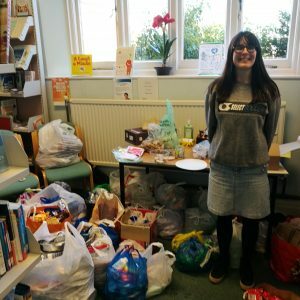 9.5 bags were coffee waste, closely followed by crisps – 6 bags and milk bottle tops – 4 carrier bags..
35 carrier bags of waste were donated by 160 households and a nursery on Saturday 13 April in Creekmoor Library. 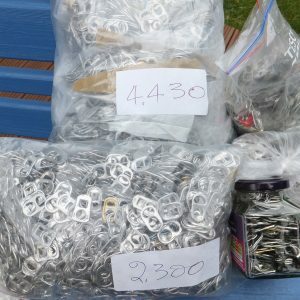 These will be helping 10 good causes. 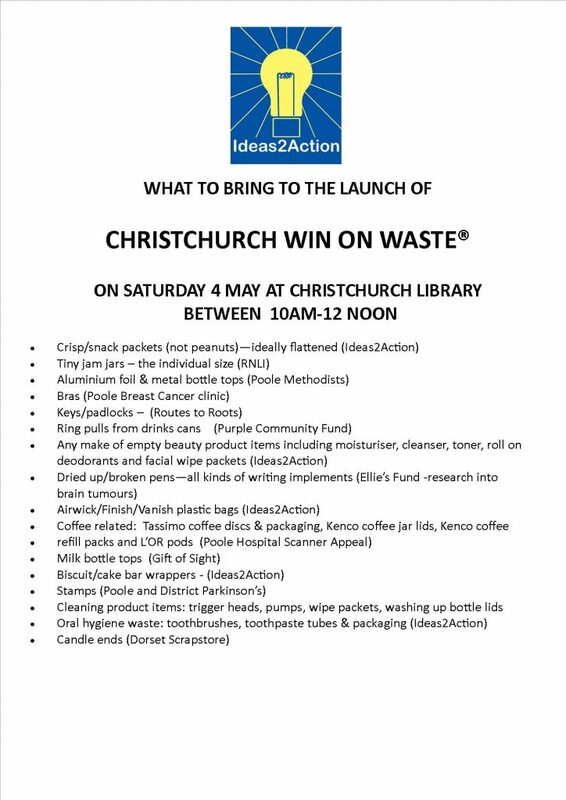 Coffee and crisp waste topped the list with 7 and 6 bags respectively. 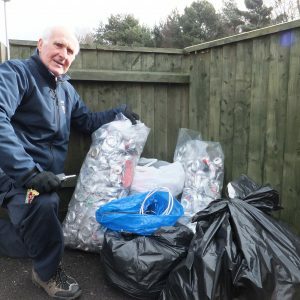 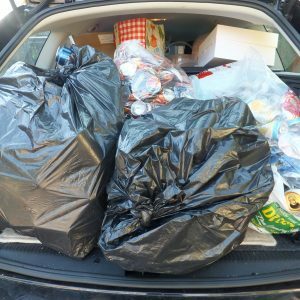 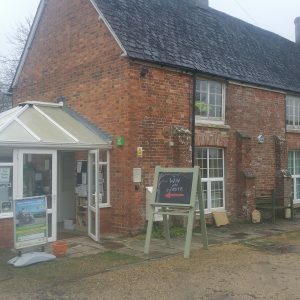 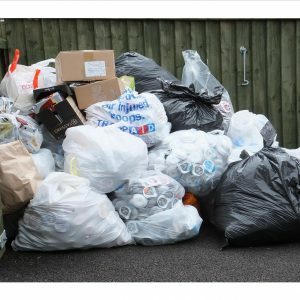 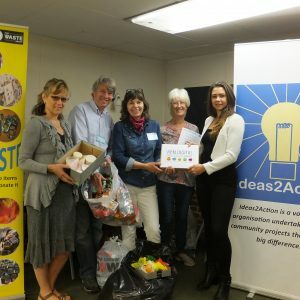 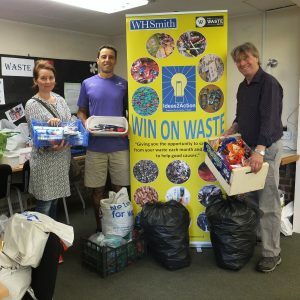 This entry was posted in Latest News, Win on Waste - Creekmoor on April 15, 2019 by Monique Munroe. 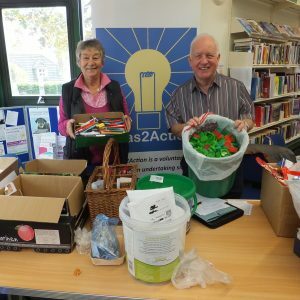 An amazing 86 carrier bags were received at Broadstone Win on Waste on Saturday 6 April at Broadstone Library. 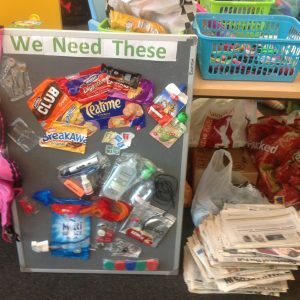 These came from 177 households as well as cafes, schools and clubs. 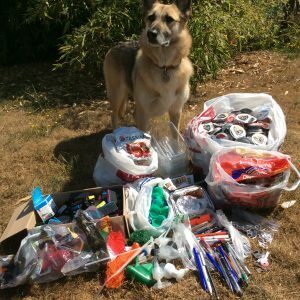 Their donations are helping 12 good causes. 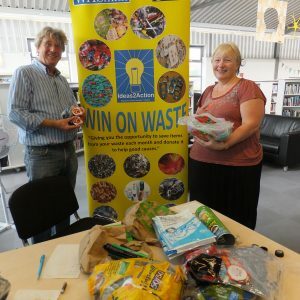 Well done the Broadstone Win on Waste Team for all your hard work! 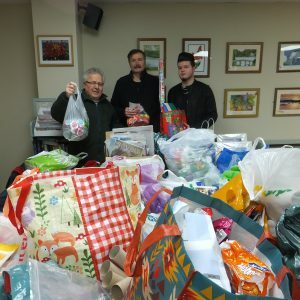 This entry was posted in Latest News on April 11, 2019 by Monique Munroe. 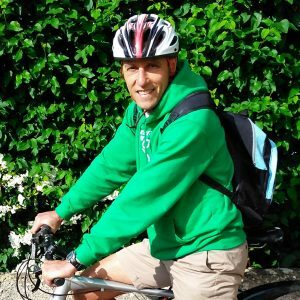 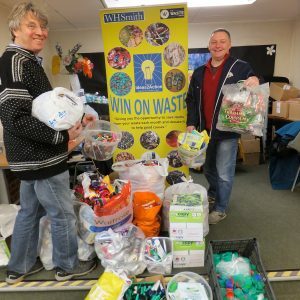 Thanks to funding from the Wessex Water Community Fund we are delighted to announce that we will be starting a Poole Town Win on Waste in June. 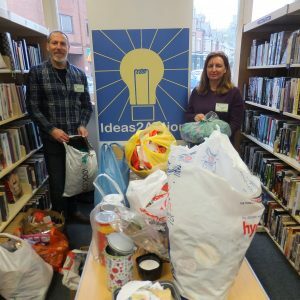 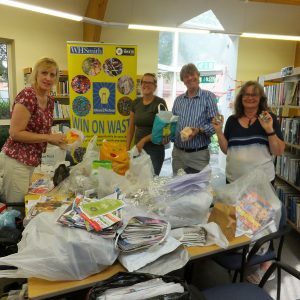 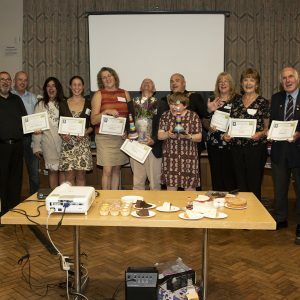 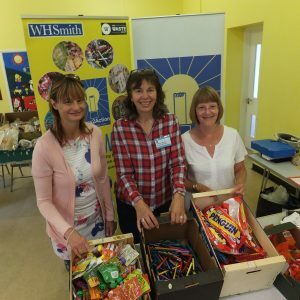 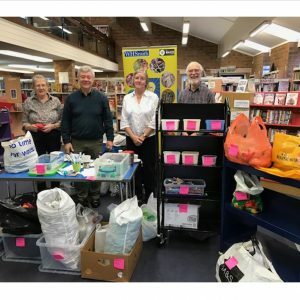 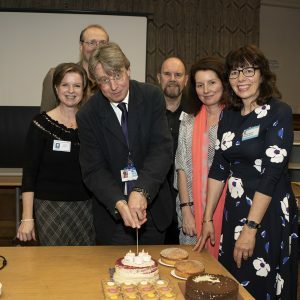 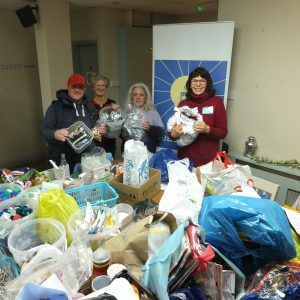 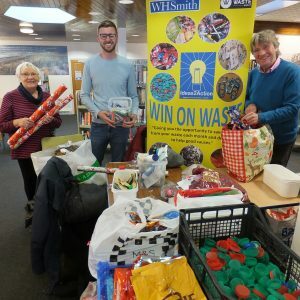 Wimborne Win on Waste held on Saturday 6 April in Wimborne Library received 34 carrier bags of waste from 128 donors which will go to help 13 good causes.